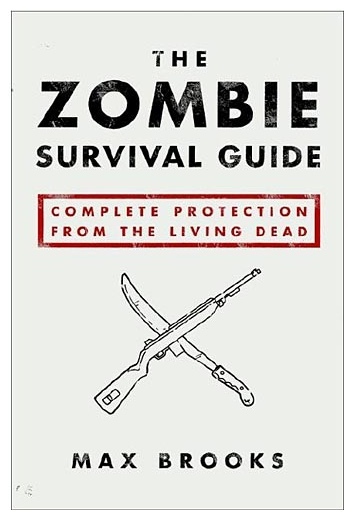 One of the best ways to communicate over long distances is with a cellular phone, unfortunately during the collapse of civilization caused by the zombie apocalypse, cellular service has been interrupted indefinitely. So what now? The human voice is typically only discernable for 180m. There is some evidence that across still water, at night, the human voice can be detected from 10.5 miles away. That’s not exactly ideal and it’s definitely not subtle. So how can you alert a rescue party to your exact location if you can’t yell loudly enough that they’ll hear it and you can’t Skype them on your iphone because the zombies ate the brains of everyone at AT&T? Behold! 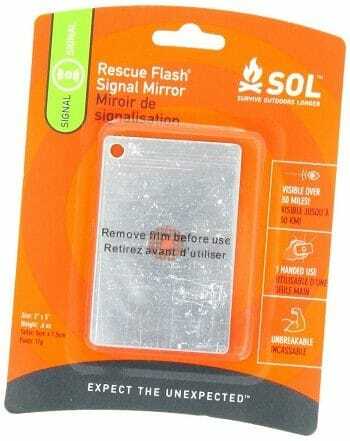 The Sol Rescue Flash Signal mirror is a virtually unbreakable polycarbonate reflective device. The light reflected by the Sol Rescue is visible from over 30 miles away and it has an aiming window, which means only the people you aim it at will see it! This model is very similar to the military issue signal mirrors, but a little bit lighter and a little better durability. It even comes with a convenient hole drilled in the top corner so that you can tie it to your pack and then never leave home without it. So whether you’re signaling a rescue party or getting your hair just right for an “I survived the zombies” party, this mirror is the one for you.